← Let’s Walk up an Appetite!!! Eid has become synonymous with a Salman Khan release whether he plays a secret agent, a human with superhero strength or most recently a Hindu Pundit who blindly follows Lord Hanuman, does not touch meat or thinks a million times before entering a mosque. It is mandatory for a Bhai’s film to generate mass hysteria, advance bookings and traffic snarls outside each and every multiplex in every city it is released. 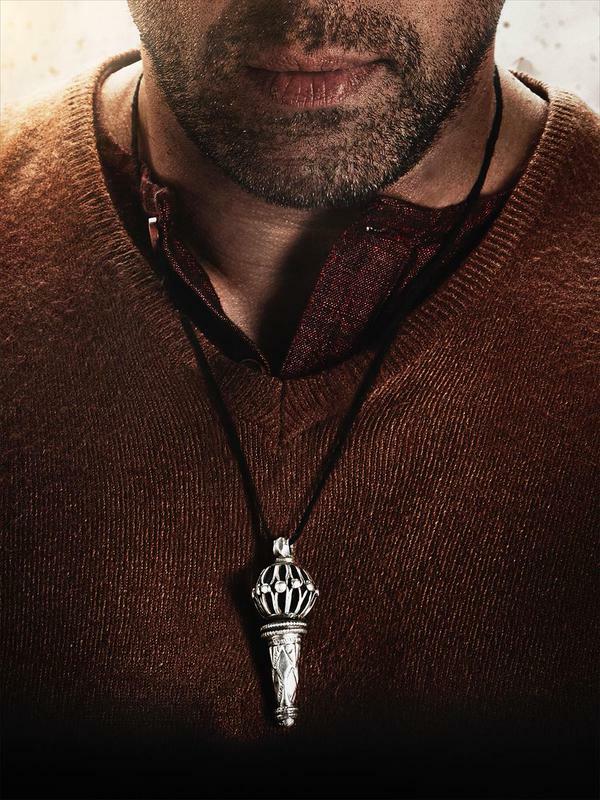 Bhai has always been a trendsetter … with his first look and the Hanuman locket, he has started another one! The religious innuendoes in the movie though clichéd never take the colour of a preaching. From the name Bajrangi which we lovingly call our Superhero god Hanuman to the Muslim community being referred to as Mohamden, the movie steers clears of any controversial religious overtone and each dialogue and situation is treated in a simplistic manner. Even when Nawazuddin Siddiqui’s character of a Pakistani journalist asks Bhai’s character, “Wahan tumhari madad kaun karega?” & gets a reply “Bajrang Bali.” He laughs and says “Pakistan mein bhi?”, keeps the mood light-hearted even in heavy emotional scenes. 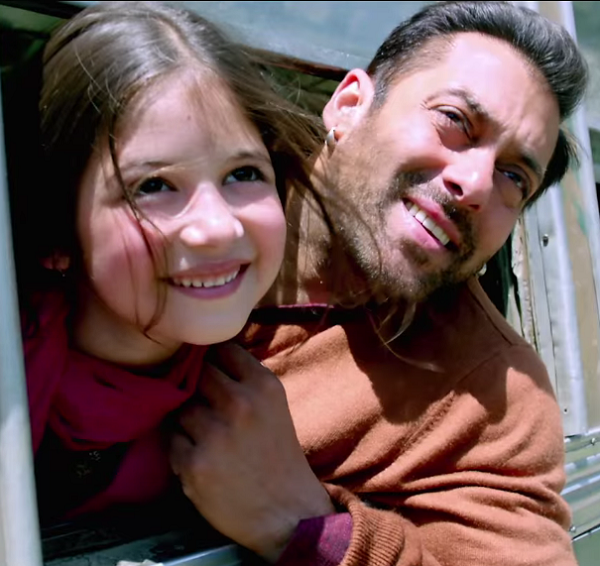 The chemistry between Salman & Harshaali is spot on bringing a tear to the eye! India & Pakistan, two countries which have had a history richer than any Oil magnate’s coffers, have always been great fodder for movie makers. Kabir Khan who in his previous outing with Salman showcased the love of 2 spies from these rival countires, in this one takes the emotional quotient a notch higher minus Salman Khan’s histrionics and his aura. 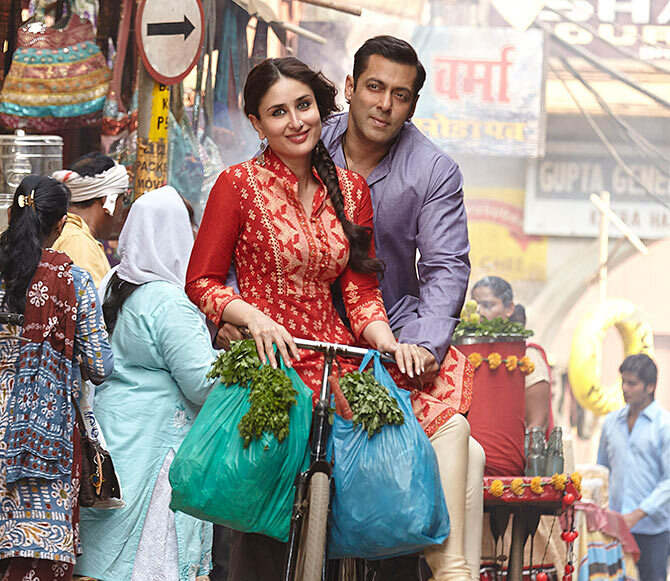 Pawan Kumar Chaturvedi aka Bajrangi ‘Bhaijaan’, when crosses path with a mute girl from Pakistan who is lost in India, takes it upon himself to take her home safely. The plot revolves around the story of this simple and gullible guy, who ardently worships Bajrang Bali and greets everyone with a soft “Jai Shri Ram”, and despite the odds never falters from speaking the truth. His chemistry with the mute girl played by newcomer Harshaali Malhotra, gives us some heart wrenching and emotionally charged sequences. Salman Khan plays an ordinary human being after a long time and does it with enough conviction which makes him more humane and less of super human. His idiosyncrasies and his signature moves are missing, he will not take of his shirt or send bad guys flying at the drop of his hat. The Salman as his fans know him though absent will not fail to leave a mark, though secretly, I did wish I could see over the top action and his signature moves. Harshaali Malhotra as Shahida is the Pivot that keeps turning the plot and gives Bajrangi’s life a focus and an aim. Commendable performance by the young lady, and kudos to the casting director for finding this innocent kid to star opposite the biggest superstar in the film industry. Playing a mute girl and emoting through eyes, Harshaali definitely will be a sought after child artist for a while now. The trio carry the movie through out the second half! Nawazzudin Siddiqui as a Pakistani reporter, who helps Bajrangi to achieve his goal, is funny, intense and perfect for the role of Chand Nawab. Great dialogues and impeccable timing makes him a dependable actor and a star in his own sense. Kareena Kapoor is more in a supporting role than a heroine along with the big man Sharat Saxena. Kareena is there but not exactly there! After Ek Tha Tiger, Kabir Khan readies to deliver another hit with Bhai, but also has taken a calculated risk by upping the melodrama with an actor like Salman, whose aura precedes him days before the release. Chal beta … selfie le le re! It has become fashionable to criticize Salman and his movies, but even those who supposedly “trash” him bow down to his fan following. Even Bajrang Bali would be pleased that a man with such a cult following, portrays his bhakt (devotee). Bajrangi shows that love truimphs over religion, boundaries, egos & hatred, and as a die-hard Salman fan you don’t need to read my review to watch Bajrangi Bhaijaan. 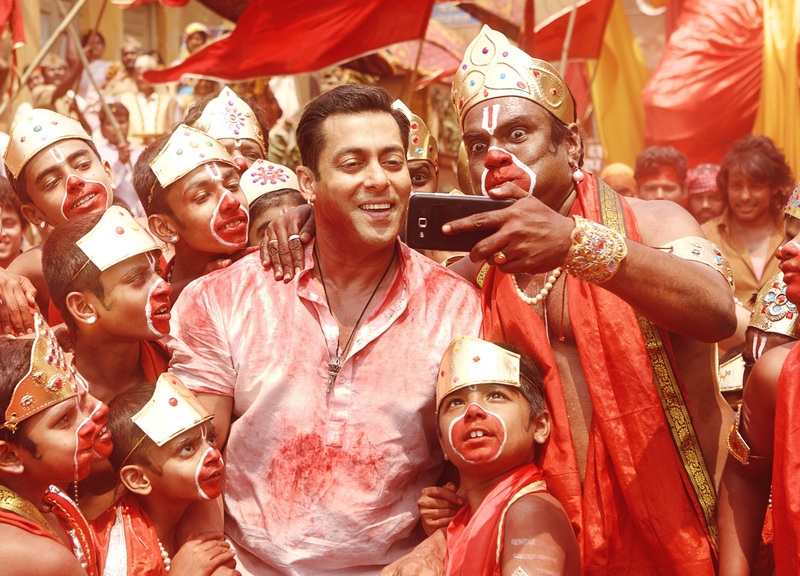 Though if you would really like to see Bhai breakaway from his own stereotype, do watch it and take a selfie. Jai Shri Ram & Eid Mubarak!!! This entry was posted in Hollywood, India, Lifestyle, Movie, Review, Television and tagged Bajrangi Bhaijaan, Bhai, Ek Tha Tiger, Kabir Khan, Kareena Kapoor, Nawazuddin Siddiqui, Salman Bhai, Salman Khan, Sharat Saxena. Bookmark the permalink.